"There's no secrets and nothing ground breaking. We've kept it simple, and just focused on staying healthy and staying focused. One thing my coach has told me is your gonna hear a lot of things from a lot of different places and people try to over complicate things and over think things, and he's taught me that at the end of the day all you need to do is focus on giving your greatest effort to win the race and at the end of the day if you can say that, only positives can come from what you accomplished." - 4:05 high school miler Ben Malone showing wisdom way beyond his years. Jordan Hasay 10k - did she not make it?? 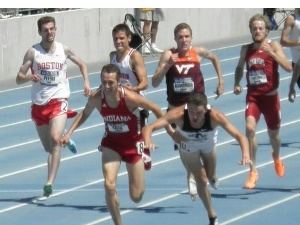 Day 1 of 2013 NCAA Preliminary Rounds - What happened big? Anything stunning? 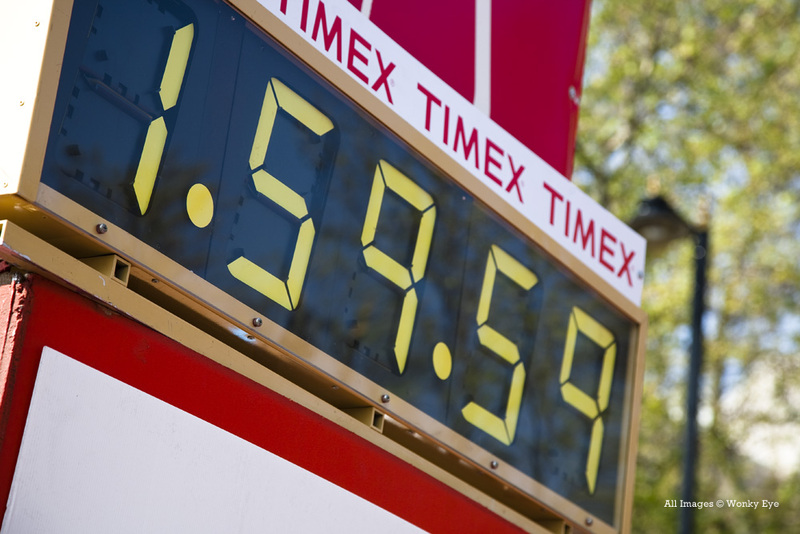 How many high school milers will break 4:00 this season? MB: Jordan Hasay 10k - did she not make it?? 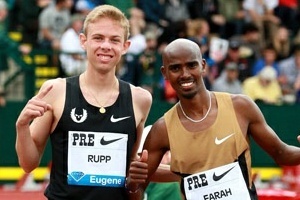 MB: Day 1 of 2013 NCAA Preliminary Rounds - What happened big? Anything stunning? Not A Stunner, But Big News: 2009 World Steeple Champ Marta Dominguez Reportedly Has Abnormalities In Her Biological Passport We're not sure if there's ever been someone more linked to doping but never officially caught. Aussie Writer Tired Of Pacemakers: "Seeing five Africans run 3:32 for 1,500m every week has become tiresome." Paralympic Star Jonnie Peacock Happy Back In Britain As He Hated Living I The U-S-A "The less time I spend over there the better. ... You have to drive two days to find places. By the end I was counting down the days to leave." 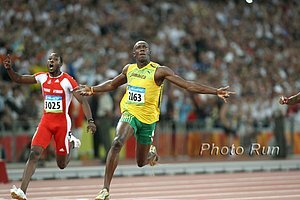 Dwain Chambers: "Even my kids talk about Usain more than me - I just ask them not to forget their old dad now and again." 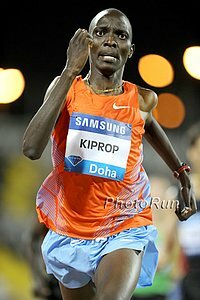 Better Than The Olympics: 2013 Bowerman Mile At Pre Classic Will Feature A Totally Incredible Field You can't get a mile field better than this as it features Makhloufi vs. Kiprop plus all of the other London finallists plus all of the world top 10 from 2012. 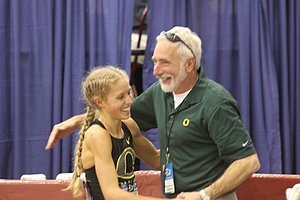 Oregon's Chris Brewer Speaks For 1st Time About Crash That Nearly Killed Him & Molly Grabill Brewer was on Oregon's 4 x 1 mile team at Penn. Grabill has missed the only season recovering from the horrific crash. NCAA D1 Regionals Are This Weekend: NCAA Regionals Declarations & Start Lists Released There is a free West stream. 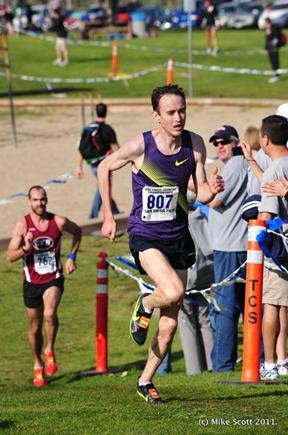 Former College Star Making News: Former Arkansas Star Shawn Forrest's Perseverance Is Rewarded With First World Champs Appearance He'll run the marathon in 2013. In 2000, Forrest carried Haile Gebrselassie's basket at the Olympics. Injury Forces Fraser-Pryce Out Of This Weekend's 150m Showdown With Felix They were supposed to square off at the BT Great CityGames here in Manchester. Kenyan Distance Events: Kenya's Hilary Yego Won The Steeplechase In 8:09, Beating 2008 Olympic Champ Brimin Kipruto By 6 Seconds In the women's 1,500, Eunice Sum out-sprinted Mary Kuria, 4:04.49 to 4:05.17, while in the men's 800, Alfred Kirwa Yego beat Edwin Melly on the line, 1:46.43 to 1:46.46. June 1st: Mary Cain Adds To An Already Stacked Field In The Pre Classic 800: She Joines Pamela Jelimo, Mariya Savinova, Alysia Montano And Brenda Martinez As well as Janeth Jepkosgei and Yekaterina Poistogova. 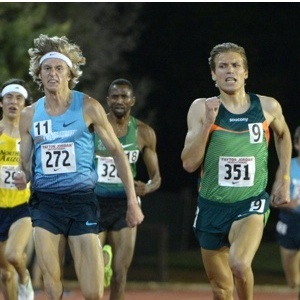 Cain ran 2:01.68 at the RE:Run San Diego and the American Junior Record is 2:00.07 (by Kim Gallagher in 1982) while the World Junior record is a ridiculous 1:54.01 by Jelimo. Ashton Eaton Forced To Pull Out Of Decathlon At This Weekend's Austrian Multi Event Meet Due To A Tendon Strain It sounds like it is a minor injury, but not something he feels is worth the risk trying to compete through and risking the rest of the season. 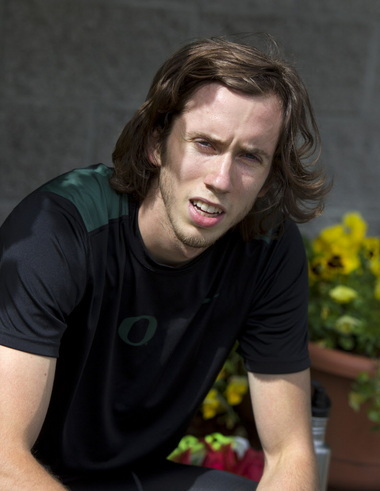 Former UVA (Now Oregon) Runner Brett Johnson Almost Died In Moped Accident Last weekend at Oxy, he ran a big 1,500 PR of 3:38.91. *Meanwhile: Australia Sending A Marathon Team Of 5 Women And 4 Men But yet the US is only sending 3 men / 3women. Shelly-Ann Fraser-Pryce Wins 100 in 10.93 As Carmelita Jeter Pulls Up Injured In 3rd Jeter was actually carried off on a stretcher. Bronze medalist Warren Weir won the 200 over Justin Gatlin as China's Zhang Peimeng broke the NR. Jason Richardson won the 110H as Aries Merritt DNFed before even going over the first hurdle as he felt a cramp in his hamstring. 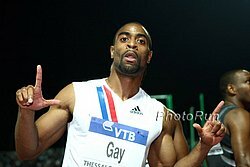 Tyson Gay Gets USA Today Pub Prior To adidas GP: "I've run some of my best times when injured so imagine if I'm healthy." "People are quick to forget some of the things you have accomplished." After Surgery, Richards-Ross Only Put Spikes On For 1st Time This Week But She's Ready To Face World's Best In NY "Right into the fire, just the way I like it. I feel that in order for me to be ready for the world championships I just need to get back on the horse." LRC 2013 adidas HS Boys Dream Mile Race Preview - Will A 5th American Prep Make History And Go Sub-4? We don't normally spend a lot of time on the HS ranks as it's not truly elite, but the boys mile field on Saturday is special. Ever since last year, when two juniors ran 4:01 and 4:02, the track world has been wondering, "Will someone go sub-4 in 2013?" We break it down for you in Odyssey-like fashion - 2,641 words. *MB: How many high school milers will break 4:00 this season? 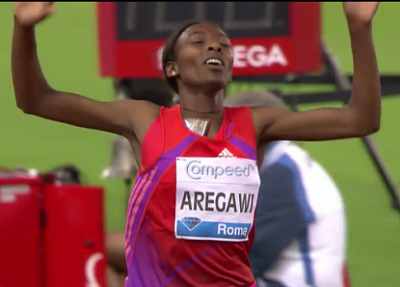 LRC Women's Preview: Abeba Aregawi Makes Her US Debut As Americans Rowbury, Uceny, Grace Hope To Contend ... Will Brenda Martinez Get Closer To 4:00? Phenom Abeba Aregawi will be after convicted drug cheat Mary Slaney's US all-comers record of 3:58.92 in the 1,500m. A slew of Americans will be running for 2nd. Will this be Brenda Martinez' coming out party? LRC Men's Preview: David Rudisha Set To Shine Again As Hagos Gebrhiwet And Dejen Gebremeskel Prepare To Clash High schoolers will try to go sub-4, Hagos Gebriwet, Dejen Gebremeskel and Ben True in the 5,000, and David Rudisha in the 800 while Erik Sowinski, Robby Andrews and Nick Willis fight for 2nd. *More: Full Meet Preview: Women's Pole Vault Features 6 Of The Top 7 In The World Last Year, Led By Jenn Suhr Sanya Richards-Ross vs. Amantle Montsho and Christine Ohuruogu in the 400, Tyson Gay vs. Nesta Carter and Ryan Bailey in the 100, Jeremy Wariner vs. Kevin Borlee in the 400, Michael Tinsley vs. Javier Culson (400H), Christian Taylor vs. Philips Idowu (TJ), and Blanka Vlašić returns to competition against Olympic silver medalist Brigetta Barrett. *Jamaican Sprinter Kemar Bailey-Cole, Who Almost Beat Bolt In His Opener, Is Looking For A Sub-10 At This Weekend's NYC adidas GP "I watched the race [against Bolt] over and over and realised that if I had leaned at finishing and not slowed down close to the line, I would have won." Meet Russia's Teen Sprint Phenom Who Ran 7.41 For 60m At Age 15 She'd be top 45 in NCAAs. Cool: Author Of Running With The Kenyans Uses Crowdfunder To Raise £1,500 To Bring A Kenyan Talked About In His Book To Europe To Race Japhet Koech has trained every day for 5 years and never earned a penny. Richard Carrión Today Gave Official Confirmation He Is Entering The Race To Succeed Jacques Rogge Carrión is a 60-year-old Puerto Rican. July 4th: Lausanne DL Meet Will Feature Nine 2012 Olympic Gold Medallists Sally Pearson is expected to return from injury and face Dawn Harper. Sanya Richards Ross vs. Amantle Montsho in the 400, and Renaud Lavillenie is in the PV. Olympic Heptathlon Champion Jessica Ennis Will Start Her Season At Edinburgh meet On June 8th She will compete in hurdles, javelin and long jump. So What If One Of Your Legs Is Longer Than The Other? 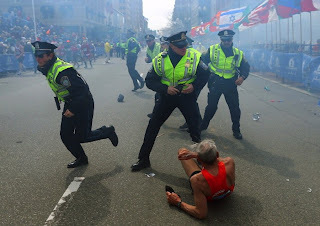 : Concrete Answers Still Hard To Find When Answering The Question: Why Do Runners Get Injured? Going against common belief, a recent study has found no correlation between runner asymmetries (which were frequent) and injury rates. 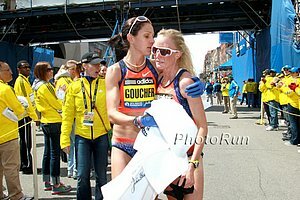 Anna Chicherova Blogs Ahead Of Beijing World Challenge And Talks About Rooming With Yelena Isinbayeva At The First World Youth Champs Back In 1999 She also talks how recently she had a traumatic experience in her town as there was a major train wreck and explosion right near her house when a train carrying oil derailed. June 1: Tirunesh Dibaba Leads Field For Pre Classic 5k She'll face a deep field, including 2-time World Championships silver medalist Sylvia Kibet (14:31), London 6th placer Viola Kibiwot (14:34), World Champs 5th placer Mercy Cherono (14:35), Gelete Burka (14:31), World Jr. champ Buze Diriba and Americans Shannon Rowbury, Lisa Uhl, Kim Conley and Neely Spence. *Pre-Race Q&A With Meb Before His Return To Racing Interesting fact - Meb was healthy enough to run 10 miles the day of Boston and was at the Boston finish just before the bombs went off. 400 Semifinalist Lee McConnell Is Pregnant And Hoping To Be Back For Hometown 2014 Commonwealth Games If you are keeping score at home, it was "a bit of a surprise." Reuters Reported On Wed. What We Reported In January: Mary Keitany Is Pregnant With 2nd Child And Not Running This Year Yet another example of why you come to LetsRun.com each day. We broke this story 1/25/2013. Previous:Vivian Cheruiyot Is Pregnant And Will Not Defend Her World Titles At Moscow 2013 "I am very happy to announce that I will take some time off from athletics this year as I am pregnant with my first child. I have been running for many years and at 29 feel that now is the right time to start a family." LRC Mary Cain Rewrites The Record Books, German Fernandez & Robby Andrews Struggle, Molly Huddle Impresses, WADA Testing Alert, And Is Alan Webb Done? We offer some extra insight into last week's action at Oxy, Shanghai, Bay to Breakers (aka Ryan Hall's comeback) and more. Good Read: UK Sprinter Dwain Chambers Training At Altitude In Chamonix, France, Where He Will Climb The 4,800m Mont Blanc At The End Of The Season For Charity He'll race against Christophe Lemaitre over 150m at Manchester City Games on Saturday.